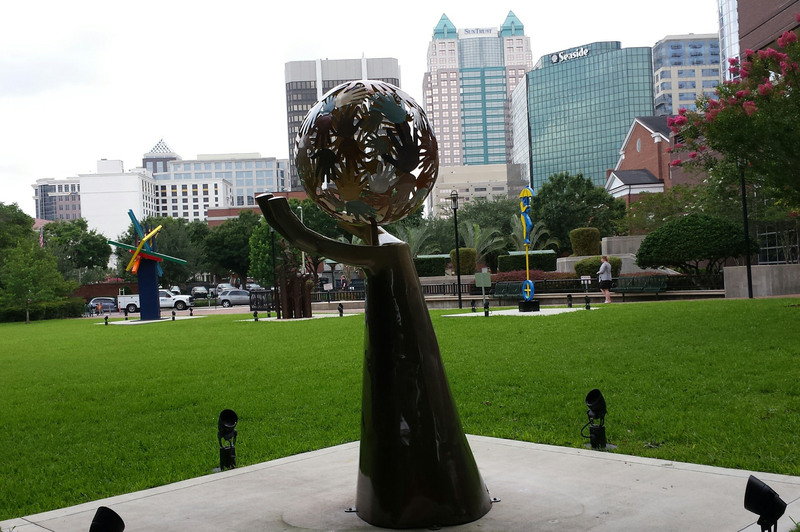 Artists are invited to submit work - existing or conceptual - for the fourth annual Sculpture on the Lawn exhibition, an outdoor display featured at the entrance to the Orange County Administration Center (201 S. Rosalind Ave.) in the heart of downtown Orlando, Florida, where the works are visible to approximately 10,000 people daily. Sculpture on the Lawn is open to experienced professional sculptors as well as students and emerging artists who specialize in the design, construction and installation of outdoor sculptures. Up to four sculptures will be selected for display from October 2018 to September 2019. One of the four sculptures will be selected from a student or emerging artist, if suitable. NEW THIS YEAR: The theme of “Diversitastic!” has been added to this year’s exhibition. We welcome large-scale sculptures that celebrate diversity in our communities and the interweaving of different backgrounds, cultures and religions. The theme supports the inaugural FusionFest, November 24 & 25, a free, two-day celebration in downtown Orlando, supported by Orange County Government. Honorarium: Each artist will be awarded $3,500 as a fee for the annual loan of his or her artwork and to help offset any necessary transportation, installation and housing costs. No other compensation will be provided. A payment of $3,000 will be made upon installation and $500 will be paid upon removal. Sales: Sales of the works will be encouraged and promoted. Any sales inquiries will be forwarded to the artist or designated agent. No commission will be charged. Sculptures must remain on site until September 2019. Sculpture on the Lawn Opening Reception: October 19, 2018, 5:30-7:30 p.m.
Email questions to: Terry.Olson@ocfl.net. Or call Mr. Terry Olson, Director, Orange County Arts & Cultural Affairs, at 407-836-5540.